Matt Crafton, driver of the No. 88 Goof Off/Menards Toyota Tundra made his 17th career start at Daytona (Fl.) International Speedway in Friday night’s NextEra Energy Resources 250. The two-time champion, who is still looking for his first win at the 2.5-mile superspeedway, had the NASCAR Camping World Truck Series (NCWTS) field in his rearview mirror coming out of Turn 2, on the final lap, and looked poised to take home the checkered flag when his Tundra was clipped in the right rear going down the backstretch.  The chain of events ultimately sent his Menards machine airborne, causing the “Big One,” and relegating the ThorSport Racing driver to a 14th-place finish in the 18th annual event. 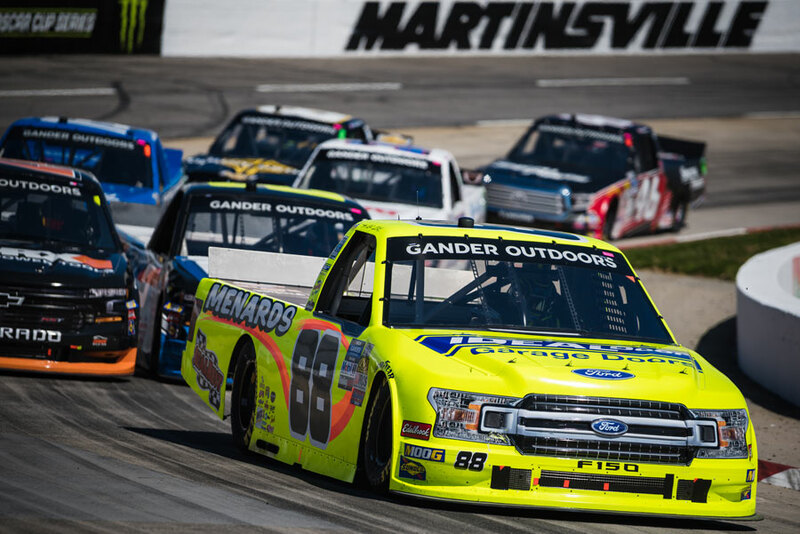 Starting seventh in the 100-lap event, Crafton avoided a multi-truck wreck on lap two, to finish 13th in the first Segment of NASCAR’s new race format, and navigated his way back from a speeding penalty, following the first Segment break, to finish 18th in the second segment. Restarting the third segment in the 12th position, Crafton utilized the draft to make his way back to the front of the field. With four laps remaining, the fifth caution of the night was displayed, setting the field up for a green-white-checker flag finish. Restarting fifth, Crafton worked with his ThorSport Racing teammates to get his Menards Tundra to the front of the field. In what looked like it would be a ThorSport Racing 1-2-3 finish on the last lap, ended in a 12-truck pile-up on the backstretch. 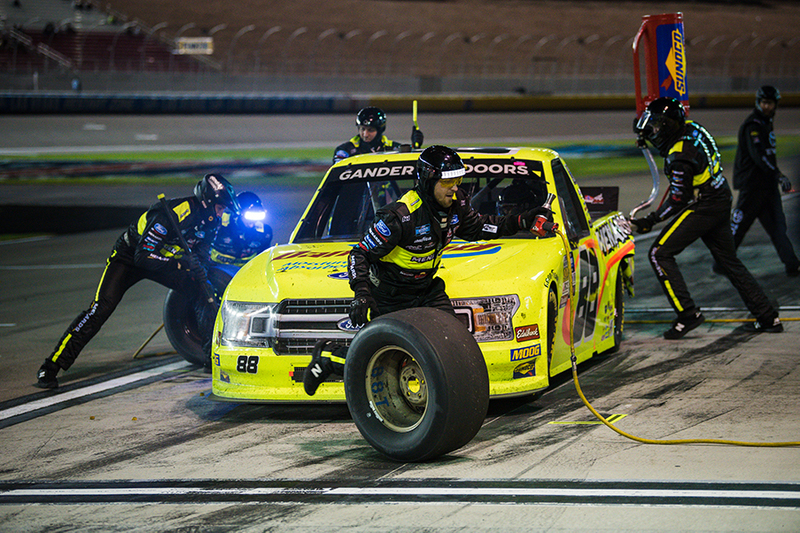 Crafton, would be credited with a 14th-place finish behind race winner, Kaz Grala. What happened on the final lap of the race? The NASCAR Camping World Truck Series (NCWTS) had one practice session on Thursday evening in preparation for Friday night’s 100-lap event. Matt Crafton was 14th-quick overall. 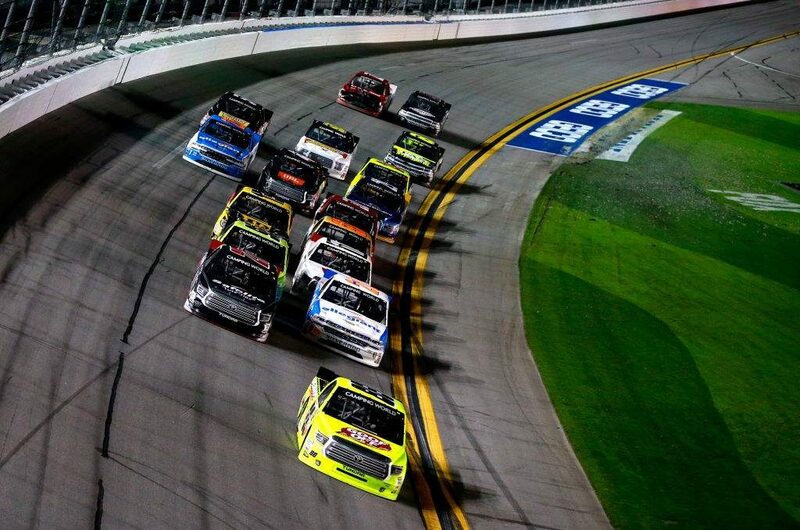 Friday night’s NextEra Energy Resources 250 marked Crafton’s 17th NASCAR Camping World Truck Series (NCWTS) start at the 2.5-mile Daytona International Speedway (DIS). The Menards driver started seventh, led one lap, and finished 14th, due to a last lap crash in the 18th-annual event. Starting from the seventh position, Crafton led the field once, for one lap (lap 99), during the 100-lap event. 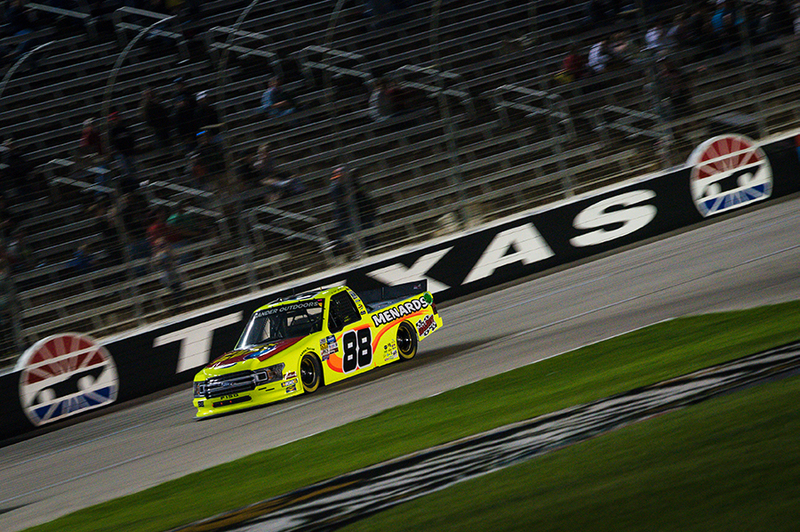 In 17 starts at DIS, Crafton has led seven laps en route to one top-five and seven top-10 finishes. In 385 career starts, Crafton has 12 poles, and has led 2136 laps en route to 13 wins, 97 top-five, and 226 top-10 finishes. Crafton’s ThorSport Racing teammates finished 11th (Coughlin), 12th (Rhodes), and 16th (Enfinger). Up next: The Active Pest Control 200 at Atlanta (Ga.) Motor Speedway on Saturday, March 4.